More than 50,000 Noodlers came to the markets last time they were in Queenstown. This year it’s going to bigger than ever, with more vendors and a great new location. 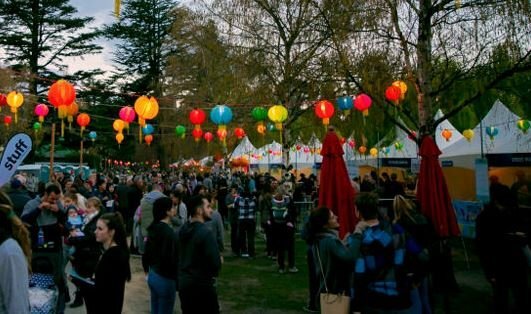 Expect delicious street-style food, exciting entertainment and the hustle and bustle of an authentic Asian market as the Night Noodle Markets light up the Queenstown Primary School grounds from Wednesday 19 April to Sunday 23 April. Winners of the Dunedin Top Chopsticks competition Vagabond Chefs are bringing a delicious range of Asian fusion cuisine, crowd-favourite Hoy Pinoy will be back with their much-loved flame-grilled skewers, and Zero’s artisan Thai rolled ice cream is set to be a spectacle. There’s more to be discovered this April at the Queenstown Night Noodle Markets. EFTPOS is preferred, but cash will be accepted. For more information, find us on Facebook or visit the website.